Bundle of 2 Towels 15x25" & 2 Dish Clothes 12x12"
Color: Blue | Size: 4 Piece Absorbent cotton towels are a staple of every busy kitchen! Large 100% cotton-terry towels are perfect for drying dishes and keeping work spaces clean, plustheir attractive checked design complements most dcors. 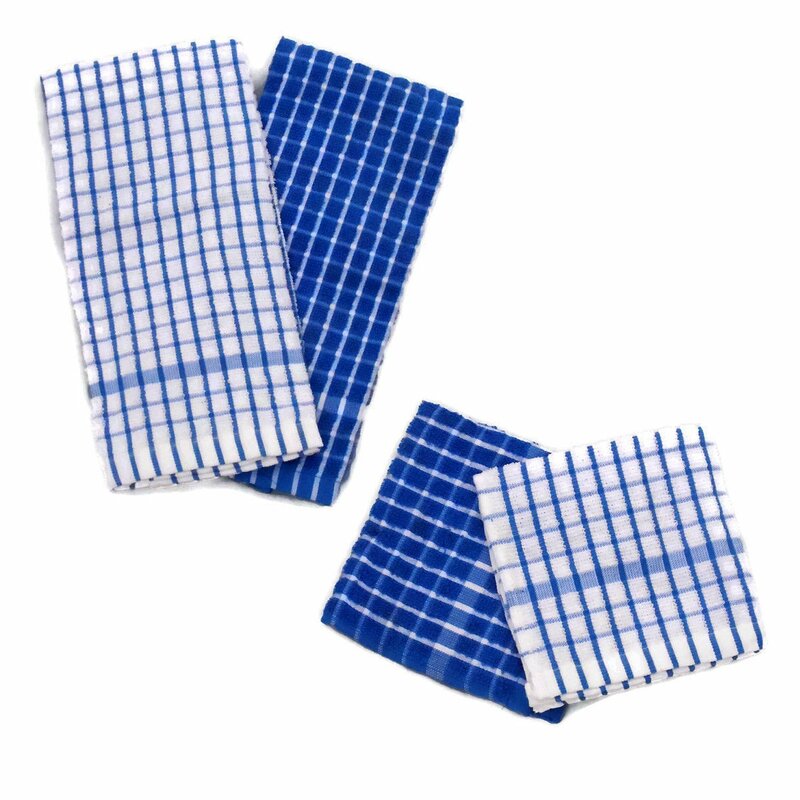 They also pairperfectly with our checked cotton terry dish cloths.